Premieres For COPPELION And NARUTO SHIPPUDEN SPIN OFF: ROCK LEE, New SAILOR MOON CRYSTAL Subtitled Episodes, And Updates For BLEACH, NARUTO SHIPPUDEN, RANMA ½ And More!! VIZ Media opens November with a new update for its Neon Alley free anime streaming platform that features a wide array of exciting new additions and episodes. Notable new additions this month include the complete post-apocalyptic sci-fi action series COPPELION (Episodes 1-13), English dubbed for the first time, which will join the already available subtitled complete series on November 27th and will be available in the U.S. via Neon Alley, Hulu and Hulu Plus for a limited time. COPPELION takes place in the not-so-distant future as a catastrophic event has turned the old capital of Japan into a wasteland, forever changing the lives of its people. Decades later, three schoolgirls set foot into the now forsaken city. They are the Coppelion, genetically engineered humans created by the Japan Ground Self-Defense Forces to operate under the lethal conditions of the contaminated city. Trained since birth, the girls must use all of their skills and resources to carry out their one and only mission: to rescue those left behind. Also making its exclusive Neon Alley English dub debut will be the NARUTO SHIPPUDEN anime spin-off comedy series, ROCK LEE AND HIS NINJA PALS (Episodes 1-13), available on November 28th to join the already available subtitled complete series consisting of 13 episodes. 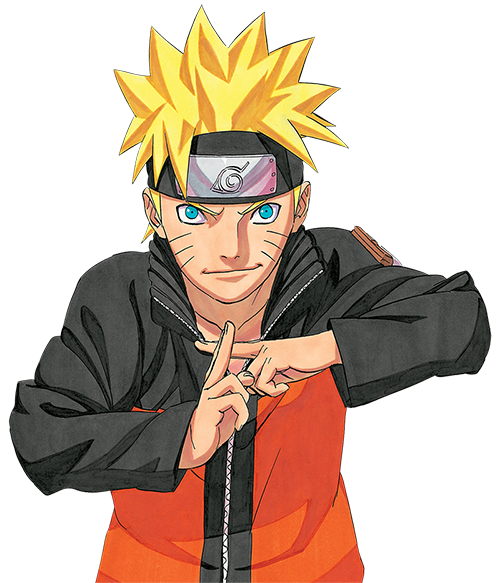 Welcome to the Hidden Leaf Village, home to the famous Naruto Uzumaki, star of NARUTO/NARUTO SHIPPUDEN. Here, ninja train day and night to be able to carry out important missions. But wait! This show isn’t about Naruto, the mightiest ninja! It’s about Rock Lee, the one who can’t use ninjutsu at all! Ninja action fans are also invited to catch the simulcasts of the latest subtitled NARUTO SHIPPUDEN episodes every Thursday. Visit www.NeonAlley.com for complete episodic details and airdates. SAILOR MOON and SAILOR MOON CRYSTAL fans can look forward to new episodes throughout November. SAILOR MOON CRYSTAL subtitled simulcast Episode 9, “Serenity Princess,” premieres on November 1st, followed by Episode 10, “Moon,” on November 15th. Two brand new subtitled episodes of SAILOR MOON will be added every Monday! Season 1, Set 2 (Episodes 13-24) of the edgy series launches on Neon Alley beginning on November 1st and blends a highly imaginative online game with real world impact that adds a new twist to one teen’s solution to being bullied. The entire series, Episodes 1-24, is also available subtitled on Neon Alley. · English dubbed episodes 243–255 will be added to the current library of episodes of this action-packed series! · Fans also can catch the entire series subtitled on Neon Alley (366 episodes total)! · Neon Alley adds dubbed Episodes 53-65 of the original NARUTO anime series. · With the newest addition, check out a total of 65 English dubbed episodes and the complete subtitled anime (all 220 episodes) series! · Don’t miss simulcasts of the latest subtitled episodes of NARUTO SHIPPUDEN every Thursday in November beginning with Episode 385 on November 13th. · Also enjoy the action-packed additions of NARUTO SHIPPUDEN English dubbed Episodes 13-18 bringing the total of available dubbed episodes of the series to over 100. · Catch Season 2, Episodes 14-26 available beginning on November 20th which now means you can watch the entire series dubbed! · The entire series comprising of two seasons with a total of 52 episodes, is now available subtitled on the streaming platform. · Enjoy the addition of 2 new dubbed RANMA ½ episodes each week throughout November beginning with Season 5, Episodes 111-112 on November 7th and every Friday thereafter. Neon Alley is VIZ Media’s consolidated online destination for FREE streaming anime content in the U.S. with over 3,200 subtitled and English dubbed episodes and movies from more than 36 series! Neon Alley also reaches an expansive on-demand U.S.-based audience on the free, ad-supported Hulu and Hulu Plus subscription service, which enables viewers to watch shows anytime, anywhere across devices including Xbox One, Xbox 360, PlayStation®3 (PS3®) or PlayStation®4 (PS4™) systems Roku, Chromecast, and mobile devices. A full list of Hulu and Hulu Plus-enabled devices can be found at http://www.hulu.com/plus/devices.